SPOILER-FREE! There is little doubt we have become a high surveillance society. Hi NSA! However, in this Orwellian-nightmare, what is often overlooked (pun intended) are the moral and ethical questions about how we should act upon the information we gather. When should we intervene and at what cost? This is the fundamental question at the heart of Eye in the Sky. 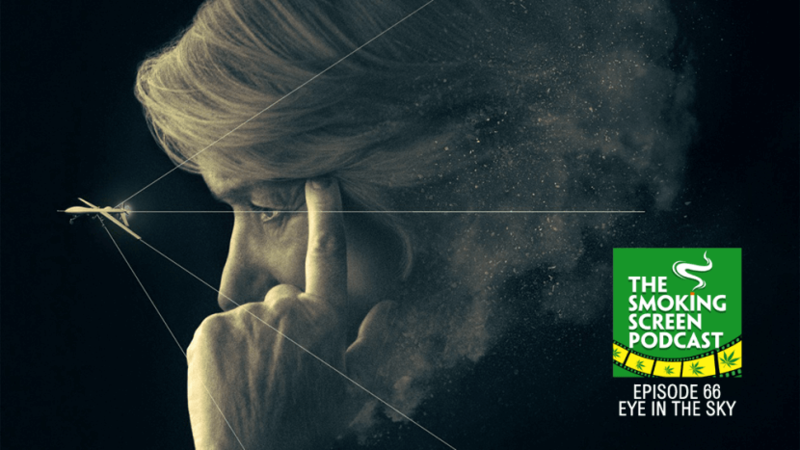 Sporting an strong ensemble cast including Helen Mirren, Aaron Paul, and Alan Rickman (in his final dramatic role), does the film find a palatable way to delve into these complex and troubling issues? We answer all of theses questions and more in episode 66 of The Smoking Screen Podcast.